30 years, 1 month, 8 days old age. Ranjit Bawa will turn 31 on 14 March, 2020. Only 10 months, 20 days, 21 hours, 30 minutes has left for his next birthday. Ranjit Bawa has celebrated the total number of 30 birthdays till date. See the analysis by days count and bar graph. Ranjit Bawa was born on 14-03-1989 in Gurdaspur in the state of Punjab, India. He is an Indian Singer, Film Actor, Bhangra Dancer, Voice Artist & Musician. Ranjit Bawa is a youth Punjabi singer who belongs to modern day generation. He rose from ranks to become a prominent figure in the folk singing. He first came to limelight after the release of his single Jatt Di Akal. His single became an instant hit and also won him the PTC Best Folk Song Award in 2013. A couple of years later in 2015, his debut album titled Mitti Da Bawa released. This album too was well received and also won him several awards. Boti Boti, Mitti Da Bawa, Dollar vs Roti, Jatt Da Dar and Bandook were among the famous tracks of his debut album. His connect with music goes long back to his school time, when he used to sing in his school. His teachers noticed a rare talent in him and asked him to make a mark in this field. He was trained under the guidance of Master Mangal and after receiving training he started participating in singing competitions. He attended Khalsa College in Amritsar and while in college he used to perform. He mostly performed on the hit Pakistani track Bol Miti Deya Baweya and that is how he got the name Bawa. His actual name is Ranjit Singh Bajwa. In addition to singing, he has also tried his hands at acting and made his acting debut with the Punjabi film Toofan Singh. The film was a biopic and he played the lead role of the Punjabi activist Gurry Kay in the film. He was born to Gurmeet Kaur Bajwa. He received huge compliments when he sang during a school competition while in 6th standard. 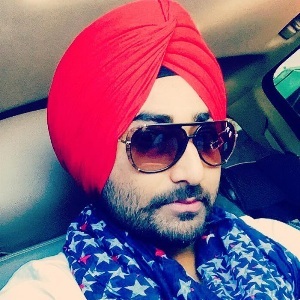 For his super hit song Jatt Di Akal, he received various honours and awards including "PTC Best Fold Oriented Song" Award.